Today I open Facebook, and I notice something, my adblocker isn’t working. As a developer, I decided to investigate, and first thing first I inspect the structure of these sponsored posts, to see if there’s a way to identify them so I can remove them with a script. 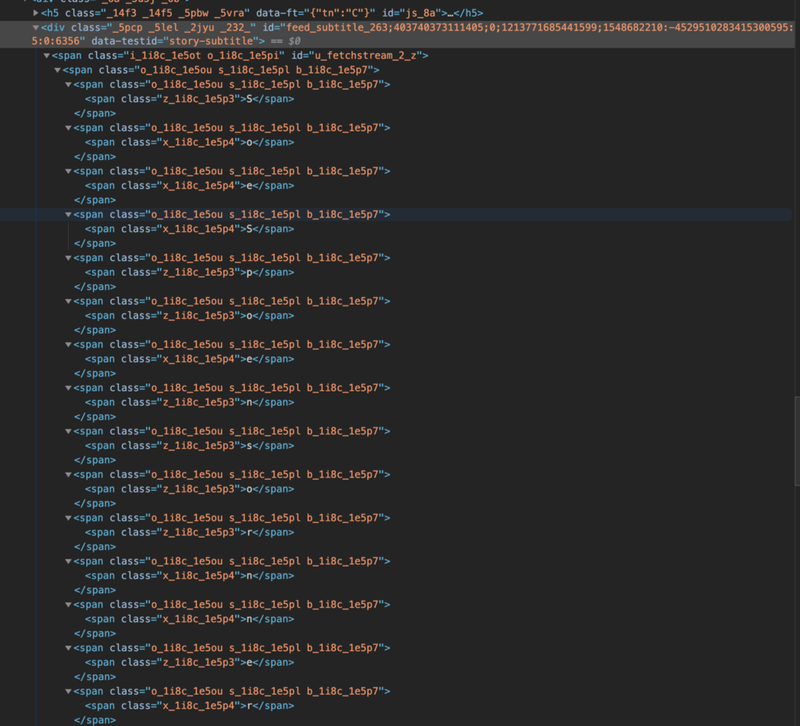 The structure looks pretty simple, we have an element with role “article”, that contains a div with a class starting with “feed_subtitle”, and inside this last div, something like a bazillion of spans with random words. Time to start constructing a script to get rid of this useless stuff. Now, we need to have a function that just says “yes” or “no” when we ask if that is the subtitle of a sponsored post. And just for security, that it works even when the subtitle is missing. 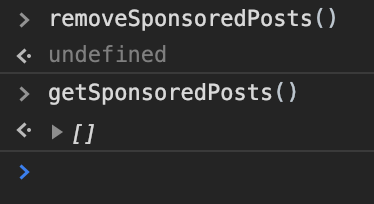 There are for sure a lot of smart ways to do that, but I’m very lazy, so I will simply use a function to observe all the new DOM elements added to the feed. To do this I can use MutationObserver, this useful feature can execute a callback every time an element is added or removed from the subtree of a specific element. When we create a new MutationObserver, we pass to the constructor a callback that will be executed when a change happens on the element we are observing. The changes that we can be notified of are chosen on the observe method that we will see later. We will get notified of these changes with a mutationList, a mutationList is a list of MutationRecord that happen on that Element, there are 3 types of mutations we can be notified of: “attributes”, “characterData” and “childList”; Each of these mutations describes what is changed, for example, a MutationRecord will be of type “attributes” if one or more attributes of that Element has changed.